State Sen. Scott Weiner and Assemblyman Phil Ting on Monday stood alongside activists and students to introduce new legislation that could put an end to gun shows at the state-owned Cow Palace in Daly City. The move by students from Jefferson High School, elected officials and activists against gun violence comes on the heels of Friday's deadly shooting at Santa Fe High School in Texas and February's massacre at Marjory Stoneman Douglas High School in Florida. "We have an epidemic of gun massacres in this country," Weiner said. "Our country is awash in guns." Sam Paredes, executive director for Gun Owners of California, the oldest pro-gun political action committee in the country, said there are more than 40 million guns in California. He argues that "stopping the gun show is not going to reduce the number of guns there are in circulation." In the wake of the deadly school shooting in Texas, students and leaders in the Bay Area are pushing against popular gun shows on the Peninsula. Pete Suratos reports. Lori Marshall with the Cow Palace added that the venue has done nothing illegal and that they do not plan on slamming the door on gun shows. State Sen. Jerry Hill admits that putting an end to gun shows wouldn't prevent future massacres involving firearms. "It will not stop the next Santa Fe," he said. "But what it will stop is California profiting and glamorizing the retail sales of guns." The Cow Palace's most recent gun show was in April, according to Wiener's office. The legislators emphasized that gun shows are a small portion of the venue's programming and they hope the space will remain a vital part of the community. "We should not have gun shows in the heart of the Bay Area," Weiner said. "The Cow Palace gun shows should have ended a long time ago. Better late than never." Student Andre O'Quinn believes that banning gun shows at the Cow Palace would prevent a school shooting from truly hitting home. State Sen. Scott Weiner and Assemblyman Phil Ting, D-San Francisco, will introduce new legislation on Monday with high school students who have spoken out against gun shows at the Cow Palace in Daly City. "One thing that we really want to make sure is that this doesn't happen in our own school, in any of the schools that are in Daly City," he said. 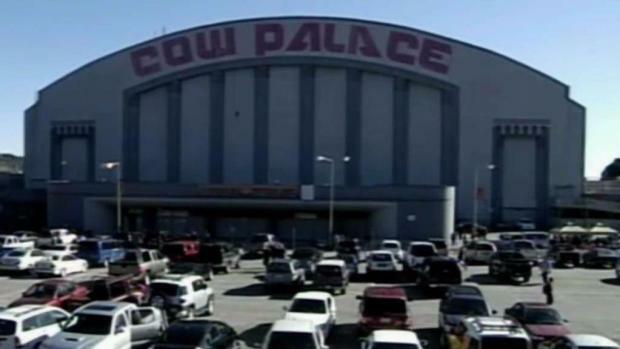 If the legislation passes, the goal is to enact the ban on gun shows at the Cow Palace by January 2020.